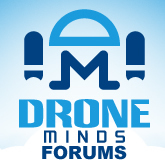 Discussion in 'Drone Suppliers' started by Flora, Jun 14, 2017. Tattu is well known for their Mini Quad LiPo batteries ( oscarliang previously reviewed their 4S 75C 1550mah), and they are now expanding into the ESC market with their BLHeli_S 30 Amp ESC. Review is here:https://oscarliang.com/tattu-30a-blheli-s-esc/. it's really a good brand in rc industry.